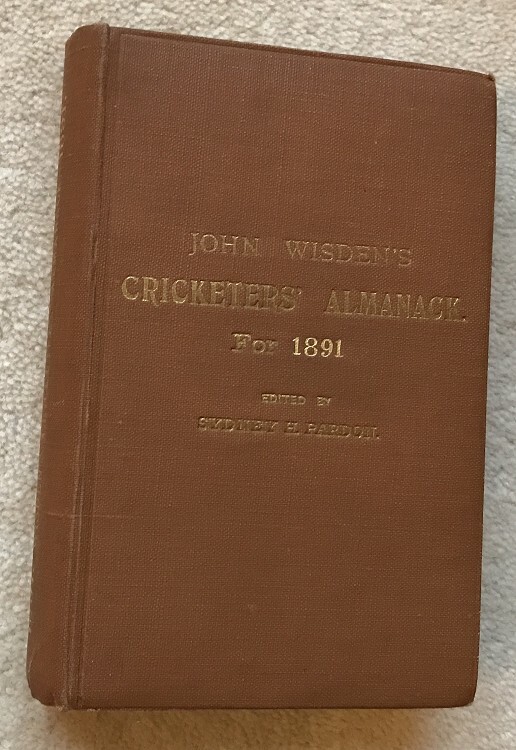 This lot is an 1891 Wisden, known as a publishers rebind that has the original covers bound within. In Good+ Condition. A hard year to find. A publisher’s rebind is of a similar style to the hardback with the years added to the boards at a later date and hence they are always brighter, these are collectable in their own right. The covers are very good, some darkness but hardly a mark, internally it is nice and clean but there are a couple of issues around the photoplate, the plate itself is very nice but there is tape to page xxix and xxxiii both look a bit untidy otherwise it is a very nice clean book that is tightly bound.